If you're on the hunt for a casual yet chic getup, pair a Chanel Vintage 1990 cropped trench coat with a black leather mini skirt. Both garments are totally comfy and will look fabulous together. For something more on the daring side to complete this ensemble, rock a pair of white low top sneakers. Contrary to what you might believe, looking chic doesn't require that much effort. 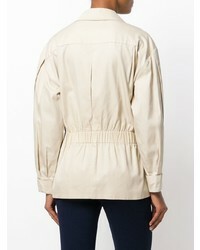 Just choose a Chanel Vintage 1990 cropped trench coat from farfetch.com and you'll look savvy. When it comes to shoes, this outfit is round off nicely with multi colored leather pumps. 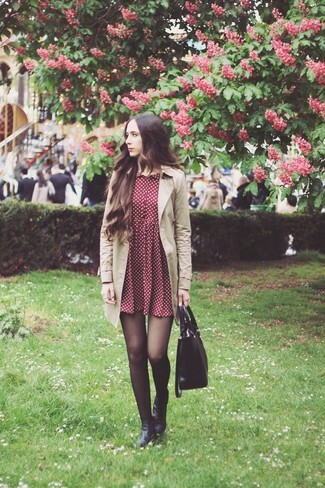 If you're searching for a casual yet stylish ensemble, pair a beige trenchcoat with a burgundy polka dot skater dress. Both items are totally comfy and will look fabulous paired together. Up the cool of your outfit by finishing off with black leather ankle boots. If you're looking for a casual yet absolutely chic getup, try pairing a Chanel Vintage 1990 cropped trench coat with a burgundy leather mini skirt. Both items are totally comfy and will look fabulous together. You could perhaps get a little creative when it comes to footwear and spruce up your look with burgundy leather heeled sandals. This combination of a Chanel Vintage 1990 cropped trench coat and black ripped skinny jeans is effortless, chic and super easy to replicate! For footwear go down the casual route with white leather low top sneakers. For a knockout-meets-stylish look, opt for a beige trenchcoat and black skinny pants — these two pieces go beautifully together. Black leather loafers look awesome here. 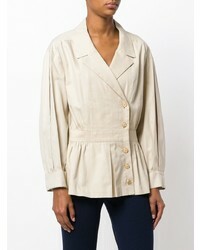 For an outfit that provides comfort and fashion, dress in a Chanel Vintage 1990 cropped trench coat and red skinny jeans. 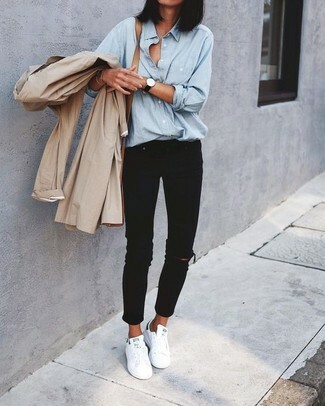 For something more on the daring side to round off this getup, rock a pair of white canvas high top sneakers. 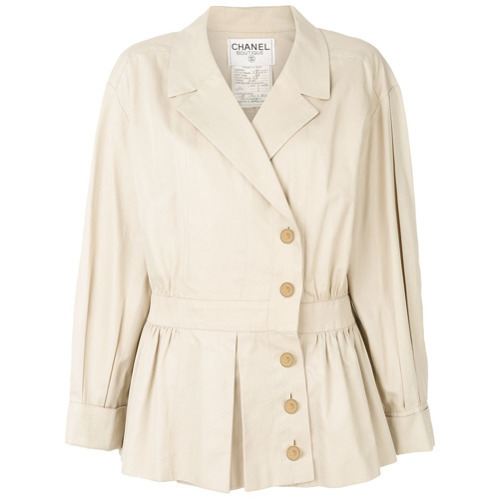 If you're hunting for a casual yet stylish look, try pairing a Chanel Vintage 1990 cropped trench coat from farfetch.com with black skinny jeans. Both items are totally comfy and will look fabulous paired together. When it comes to shoes, this outfit is finished off well with black elastic ankle boots. 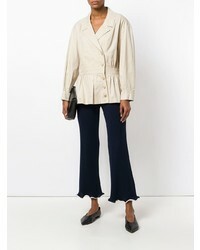 For a casual stylish getup, rock a Chanel Vintage 1990 cropped trench coat from farfetch.com with navy dress pants — these two items fit really well together. When it comes to shoes, this getup is finished off nicely with white and black leather platform loafers.